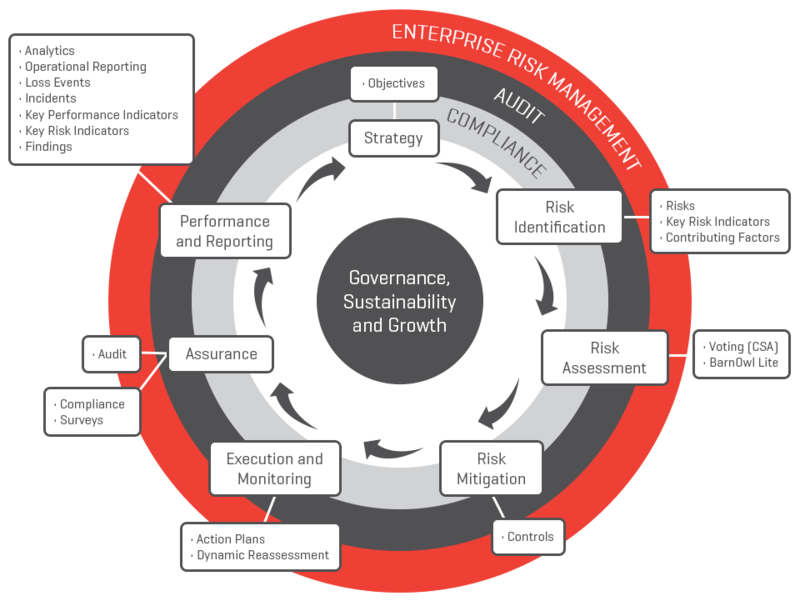 BarnOwl is a fully integrated governance risk, compliance and audit software solution: risk management, compliance, audit, and business intelligence module. 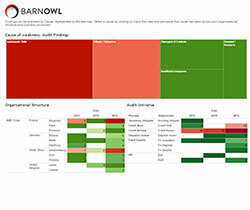 BarnOwl embeds best practice methodologies and standards, ensuring easy and practical implementation by the users. Being a flexible GRC software solution, BarnOwl allows you the user to configure the software to suit your frameworks without any programmer intervention. The custom reporting and powerful charting and global registers enable the user to analyse information in the way they wish to see it. 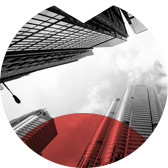 For every industry, no matter the size of the business, BarnOwl is the ultimate GRC software solution to assist you in the achievement of your strategic goals with a high degree of confidence. 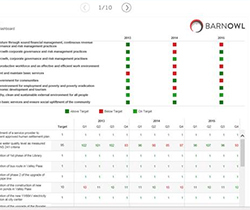 BarnOwl is one of the few software solutions on the market that provides a single, fully integrated governance, risk management, compliance and audit solution. Since 2001, BarnOwl has been implemented and used by over 200 blue chip companies and public sector departments both nationally and internationally. BarnOwl is the preferred risk management solution for the South African public sector endorsed by the OAG (Office of the Accounting General). Being a locally developed, owned and supported software solution, BarnOwl guarantees superior product support as well as on-going product development to meet local requirements. 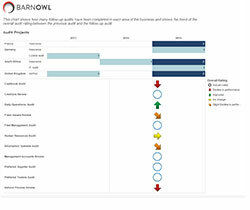 BarnOwl facilitates the ERM process and gives management and staff at every level the ability to identify, assess, manage, monitor and report on risks, determine priorities and assess the adequacy and effectiveness of controls as well as the ability to mitigate downside risks or realise upside risk opportunities. 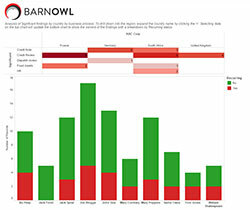 BarnOwl was designed by local and international risk management, internal control and internal audit specialists who ensure that best practice methodologies and frameworks are, and continue to be, supported by the solution. Based on universally accepted best-practice methodology, BarnOwl enables organisations to adopt and be compliant with frameworks such as COSO, CoCo, ISO 31000, King Codes III, AS/NZS 4360, Sarbanes-Oxley (SOX), Turnbull and internal audit standards such as the IIA and IPPF standards. BarnOwl supports the National Treasury Risk Management Framework and has been customised for the public sector environment under the guidance and direction of the OAG. extremely powerful and flexible reporting at the click of a button including graphical drill-down reporting, trend reporting, combined assurance reporting etc. 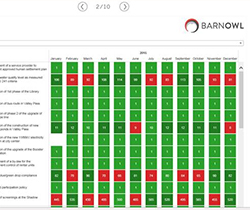 The BarnOwl compliance module enables you to manage your regulatory universe by rating and monitoring compliance to the acts, regulations and provisions at every level of your organisation, where applicable. 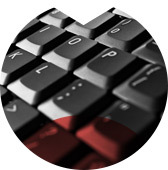 Compliance legislation from third party content providers such as Lexis Nexis and iThemba (primary source Sabinet) is fully integrated with the BarnOwl compliance module, giving you access to all the legislation (acts, regulations and provisions) as well as updates to the legislation. 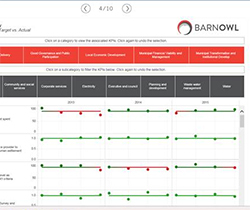 The BarnOwl compliance module supports best practice frameworks as set out in the Compliance Institutes handbook. 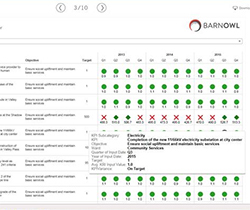 BarnOwl facilitates compliance through the automatic generation of compliance risk management plans (CRMPs) and compliance checklists which can be maintained and completed online by the relevant compliance officer(s) and business owners (i.e. continuous compliance self-assessments). 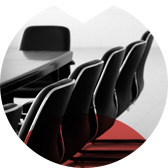 BarnOwl will enable the group compliance function to conduct independent compliance audits, compliance monitoring, as well as reporting both to Exco and the Board. Online action plans are sent out automatically by the system to the relevant owners responsible for addressing non-compliance ensuring effective compliance monitoring and remedial action. BarnOwl supports the full internal audit life cycle (planning, execution, reporting, monitoring, follow-up audits) in line with best practice standards such as the IPPF (International professional Practice Framework) and facilitates the tracking of audit findings. BarnOwl supports true risk and control based auditing ensuring that risks that matter to the organisation are audited and that the results are updated back into risk management. simplified and standardised audit processes with centralised ‘working-paper’ library for all types of audit: risk & control, ad hoc, forensic, compliance etc. BarnOwl provides extensive reporting capabilities, generating flexible, system-wide reporting across your risk management, compliance and audit universe. interactive dashboards showing aggregated data displayed as line charts, bar charts, pie charts, etc. with full drill down capability which can be exported to Word. flexible registers (risks, controls, action plans, etc.) enable a user to drag and drop, group, sort and filter by field. In addition, advanced flexible register filtering can be performed using regular expressions, Boolean combinators and wildcards across primary (parent) and secondary (child) tables. Register views can be exported to Excel or Word across a range of business units. Favourite register views can be saved by users. standard reports with filter options which can be generated on the fly in preview mode and saved in almost any format including xls, xml and PDF. heat map reports showing risk rating movement over data periods. a flexible report builder wizard whereby the relevant database tables and fields can be selected and saved as a system report. a Word report builder whereby database fields/snippets can be embedded in standard Word reports. This enables final audit reports and audit committee reports to be generated. analysis of findings, root cause analysis, follow-up action plans, audit scorecards etc. combined assurance reporting showing 1st line, 2nd line and 3rd line of defence ratings of risks and controls. a business intelligence (BI) module (utilising Tableau) for advanced analytical reporting with flexible drill-down dashboards (area, bar, line, pie and scatter charts) on risks, incidents, findings, audit projects, resource planning etc. These reports can be published to the relevant users as interactive reports.